After nearly three and a half decades of throwing casino parties in Central Texas one thing has become clear - parties are all about the experience. When you customize the experience and create something your guests have never seen before they will remember the event for years. That’s why we don’t offer a standard lineup of games, décor and party enhancements for our casino parties. We customize the experience for each client by helping them choose the best games and even tracking down ones we don’t have yet. 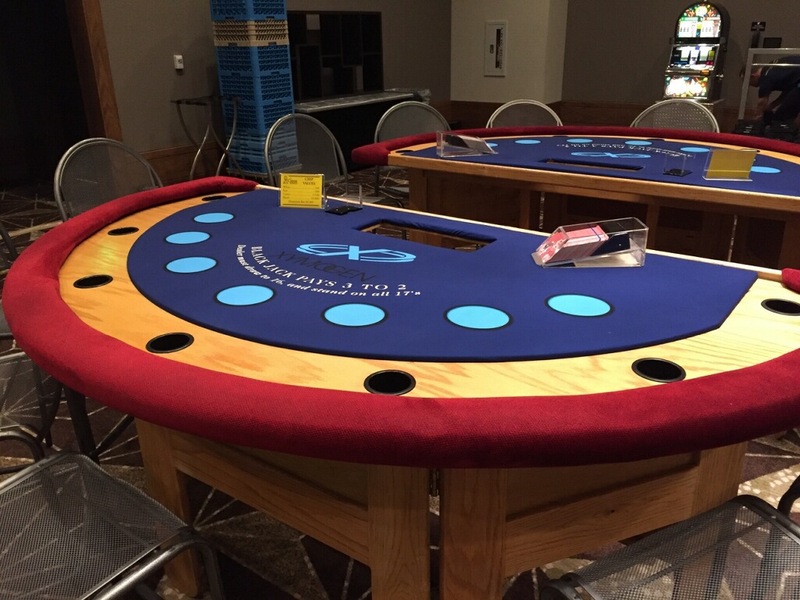 We can also provide an extra touch of personalization with poker chips and table felts that are customized with company logos, names and more. Here are some ways you can customize a party so it’s a memorable event. The top priority of a party is to make the experience unique and celebrate something special. Party planners can nail both by focusing on customization. People crave personalization because it shows you considered their preferences. It’s not the status quo or generic in any way. How you personalize the party will set the tone and help engage party-goers, which is what every party planner strives for. If you need inspiration for party customization start by answering these questions. The first thing to consider before customization is why you’re throwing the party. Your reason for celebrating can influence the theme, entertainment and party events. There’s also another good reason to consider what you’re celebrating. The customized elements need to be relevant for the occasion or they’ll be more confusing than interesting. To make the biggest impact you have to also consider who will be attending the event. Personalization has to tailored to a specific person or group. For example, a party full of mature executives isn’t going to respond to a party with video game tournaments and DJ mashups of electronic music in the same way college kids will. Where is the Party Taking Place? The party location can also influence key elements like the décor, refreshments and entertainment options. Many times the venue can also give you creative ideas for customizing the party. A party trend that has really caught on in recent years is to connect the physical location with virtual platforms. You can stream videos of the party, set up a photo booth so guests can share pictures online and use updates on social media to connect with people at the event as well as people who weren’t able to make it. Just make sure to set ground rules for employees if it’s a corporate event. Throwing a party to commemorate a couple’s 20th anniversary is a very different occasion than celebrating the launch of a product. Most of the time the difference is reflected in the mood of the party. There are a lot of ways you can set a certain mood based on the type of party you’re having. Lighting is one of the quickest ways to influence a mood. We’ve seen it time and time again whenever we use table lights and uplights as a part of the decor. Custom colors and lighting placement can create a unique look that enhances the ambiance with the flip of a switch. Answering the questions above can help you find creative ways to make your party a one-of-a-kind event. You can also get a complete custom experience with the help of Casino Knights Inc. We specialize in creating unique fundraising events, private celebrations and corporate casino parties. Give us a call today to find out how we can help you plan an event your guests are sure to remember!